The M2M Russian Open—one of the most anticipated events of the Russian golf season—this week makes its way to Moscow’s Skolkovo Golf Club for the first time, introducing the newly opened Jack Nicklaus Signature Golf Course to golfers from all over the world, tournament spectators, and Russian television viewers. Fans have the unique opportunity to watch 144 of the best European professionals play on a world-class Russian course designed by the Golden Bear. Founded in 1996, the European Tour event was first played on a Jack Nicklaus-designed golf course—Tseleevo, located north of Moscow—in 2010 before making its way to Skolkovo this year. 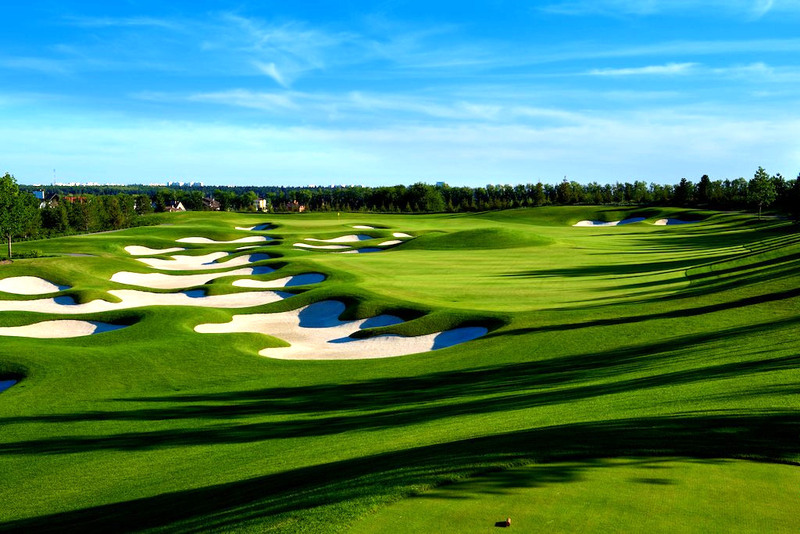 Skolkovo Golf Club’s close proximity to Moscow gives players a chance to explore the Russian capital. The club’s location also makes it easier for spectators to come and enjoy the tournament and show their support for Russian golf stars and players from all over the world. The course’s six lakes and 113 bunkers will be a fair but challenging test for the players, as they compete for a share of the tournament’s €1million purse. Tournament organizers anticipate an increase in the size of this week’s galleries, with anywhere from 6,000 to 8,000 spectators expected. The Russian Open tournament joined the European Tour in 2003. It was contested at Nicklaus Design’s first golf course in Russia, Tseleevo, three times between 2010 and 2014 (there was no Russian Open in 2012). Past winners of the event include Alejandro Canizares, Gary Emerson, Marcus Fraser, Michael Hoey, David Horsey, Per-Ulrik Johansson, and Mikael Lundberg.